This project showcases several web 2.0 tools to demonstrate the literary text in multiple perspectives. Voki was used to share the characters development in the story. Popplet, a digital graphic organizing tool, was used to map out the character’s ideas on her outdoor adventures. To place myself into the development of the story, I participated in a rock climbing lesson, and edited the video to create an iMovie experience of my own adventure. 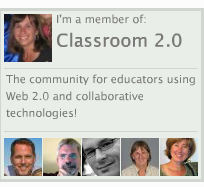 Throughout this project my understanding and application of web 2.0 tools is demonstrated. 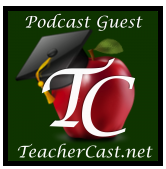 https://roughcopy22.files.wordpress.com/2012/07/i-bel-podcast.m4aThis podcast shares my beliefs and goals in educational technology. It is so important to provide diverse learning opportunities for students that promote creativity, collaboration, and effective integration of technology using the TPACK framework. 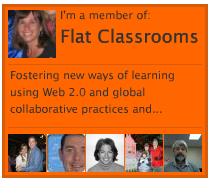 I also discuss the importance of a professional learning network, or PLN, to build relationships, discover resources, and share learning opportunities and experiences with others. This blending learning course was designed for 4th grade students on the regions of the United States. This course encompasses the elements of digital citizenship, informational literacy skills for students, universal design for learning framework, as well as collaboration among students. A digital development notebook was maintained throughout the development of the course to document the process, as well as a reference that can be used to model future online learning content. A website was designed collaboratively for teachers to implement informational literacy and technology skills in students. This site is filled with grade level resources for a teacher to implement these skills into the classroom. Designing websites that provide easy accessibility to a variety of resources for teachers and students is an integral element do demonstrate and model effective implementations in educational technology. This grant proposal to provide a detailed and researched plan to provide transformative learning experience for the classroom. My particular project focuses on our school improvement goal to enhance our students use of details in their writing, through varied online resources accessible through mobile devices. The particular proposal examines the context, content, pedagogy, and technology to provide effective and engaging learning opportunities in the classroom. It shares the development of digital literacy and technologies, meets diverse needs of UDL principles, develops the social and ethical uses of technology, builds creativity and critical thinking skills, as well as demonstrates effective uses of professional development and educational leadership.